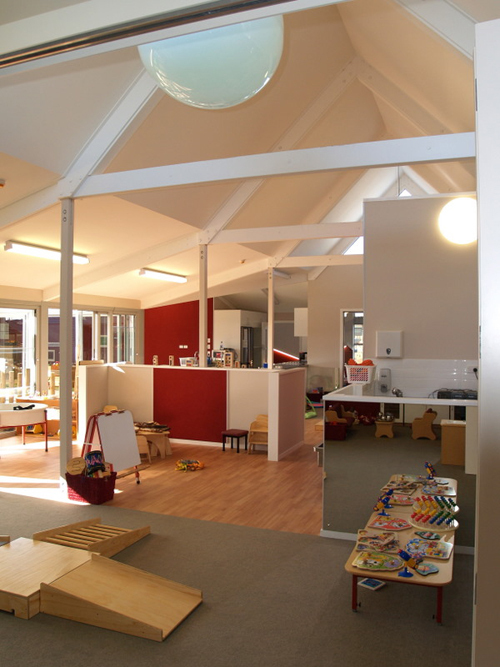 Auckland-based architect Phil Smith has had a fair bit of experience in designing early childhood environments, with two of his designs being recognised internationally. The first is his design which is a refurbishment of an existing building in Mangare for a non-profit childcare foundation called Living and Learning - whose aim is to bring hope and healing throiugh education and empowerment to lower income communities throughout New Zealand. The design is featured on DesignShare - Designing for the Future of Learning - as an example of innovative learning environments. 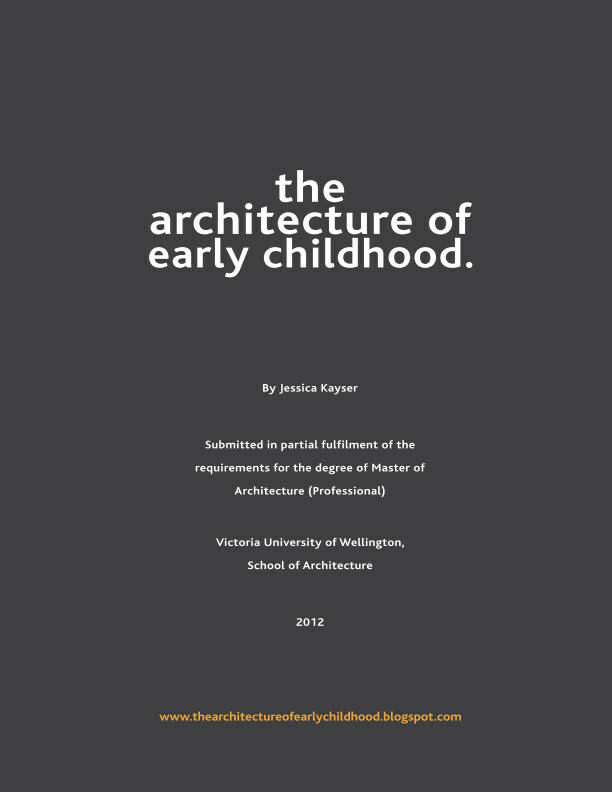 At the heart of the design is the scale of the child. 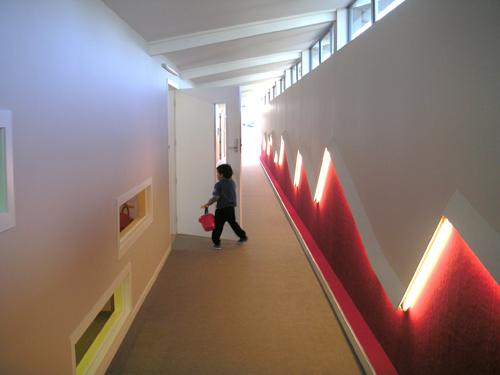 As Smith says: "the key thing in designing early childhood learning environments is scale and a balance of intimacy and openess. Things should be designed to the scale of the child rather than the adult and spaces both inside and out should allow little nooks for children who prefer quiet time." And here we see the jagged lighting feature is set at the height of the young child. "Nature is also a key part - playgrounds should be full of interesting (preferably native) plants and materials - sand, bark, water, rocks..." says Smith. 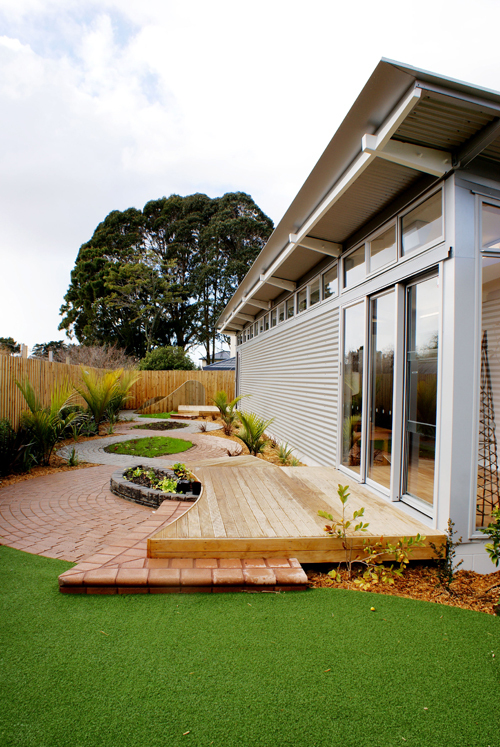 The design makes use of an existing courtyard space, with each of the classrooms facing and opening directly onto this sunny outdoor space - with full height glazed sliding doors, allowing the children unimpeded access to outdoors. Smith also stresses the importance of designing to current high green standards, for example - full of natural daylight, ventilation etc and including passive design, for example solar panels and thermal mass (that absorbs and releases heat). Therefore providing healthy environments for children to learn and grow. The centres' design keeps with the existing form which saves on waste and cost. New glazing and roof lights mean that the building is flooded with natural light and ventilation and that the building is heated passively. All circulation spaces are unheated and located to act as buffer spaces to limit heat loss from those that are heated. DesignShare sums up the design nicely, saying that "overall the clients' desire to bring hope to this neglected community is vividly embodied in this revitalised building. Full of sunlight and dressed in new clothes, the building clearly demonstrates that with passion and vision, an existing 'problem', can be turned into an opportunity for all."